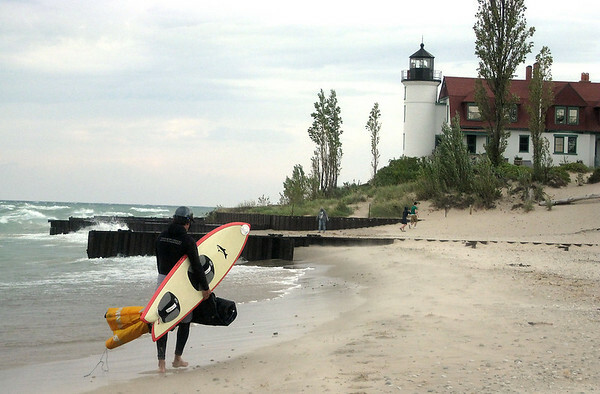 A kiteboarder makes his way back from surfing the waves on Lake Michigan at Point Betsie in Frankfort. The National Weather Service in Gaylord has issued a wind advisory, which is in effect from 8 a.m. until midnight. There's a possibility of gusts of up to 45 mph.